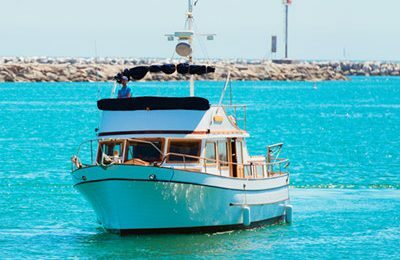 Welcome to charming classic yacht charter out of marina del rey, enjoy sea breeze over pacific ocean. This is a lovely and spacious 44 feet classic trawler yacht, comes with a spacious main saloon in the main level, a comfortable dinning area, hard wood decor throughout. 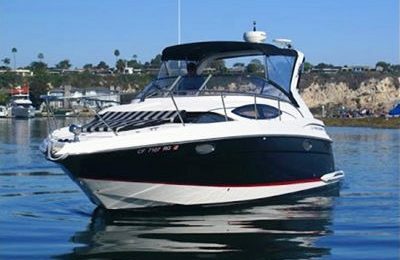 The front deck space and fly bridge are ideal for you to enjoy the ocean breeze and California sunshine, in addition,there is a sunbath area with a big sun pad at rear deck for you to enjoy the sunshine. Also recently added a sun pad in front deck area,laid back,enjoy the sea breeze and sunshine anywhere. 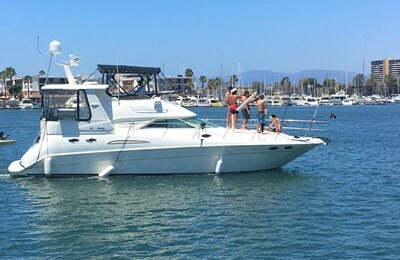 A 44′ classic twin levels classic trawler yacht, 2 states room, large working kitchen and 2 restrooms. Base price is for up to 12 passengers.A $100 discount available for 6 or less passengers.